Our firm’s foreign footprint allows us to work with companies both here in the U.S. and abroad. We help position companies who need expertise in foreign marketplaces. Spanish speakers not only live in your city or region, they live in all 50 states and in no less than 20 countries around the world. 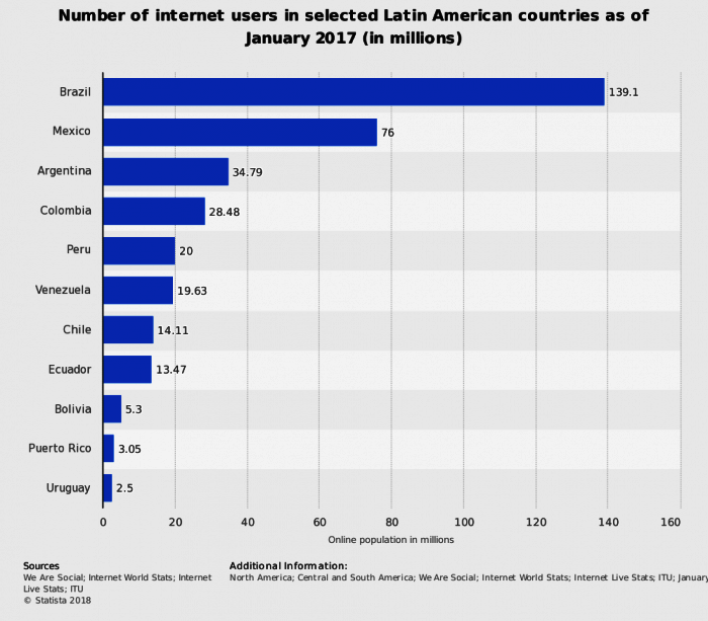 Currently estimates show that between 450- 500 million people speak Spanish in the world and 337 million of them are online (see chart below). Only English and Chinese speakers are more common online. 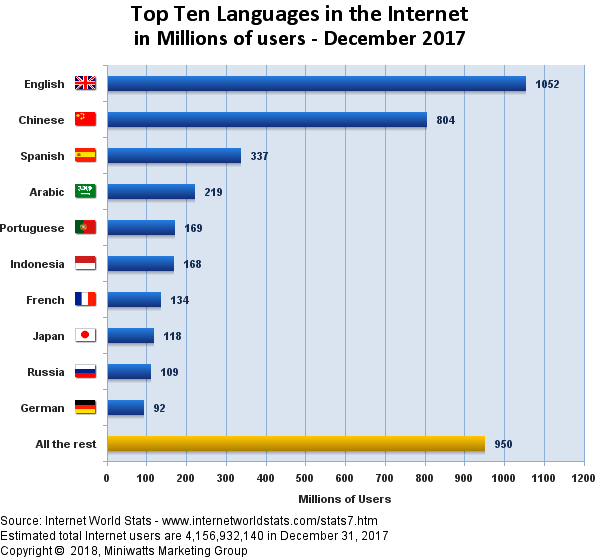 If you currently have an International Business presence but you do not have a Bilingual Website or a Spanish Language Website, hundreds of millions of people may not understand your online message. We can help you reach them by creating an International online marketing strategy using our knowledge of the Spanish language and Latino/Hispanic culture worldwide.